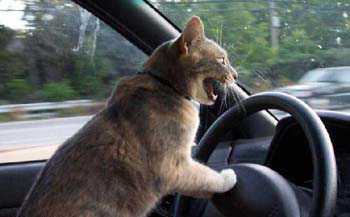 Day 23 of being out of work…with free time on her hands, Marjorie thought it would be a good idea to teach Mr. Whiskers how to drive. What are the best and worst jobs for 2010? Actuary jobs (where you do finance risk assesment) seems to be the happiest job on earth. Lumberjack the most hated. Learn which are ranking high and low! read more.